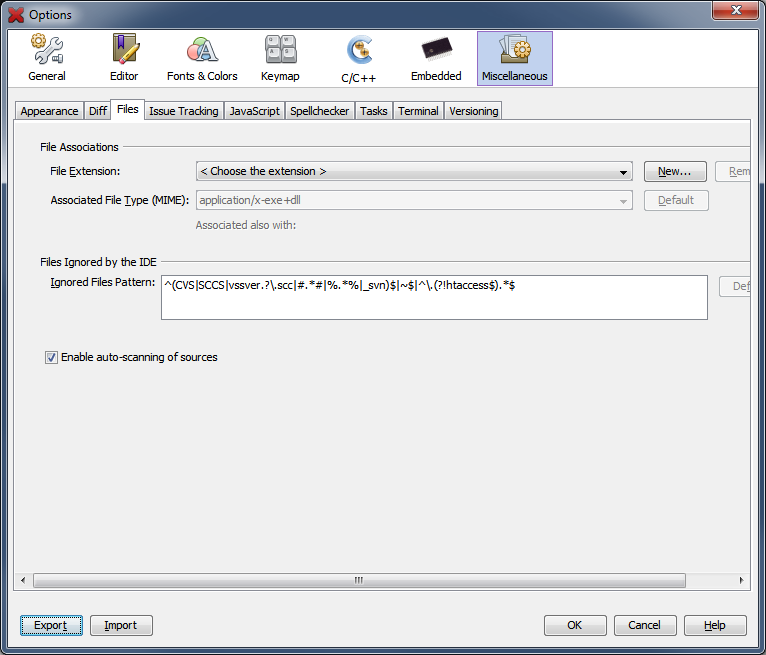 The Files tab of the Miscellaneous category contains settings for file extension management. Default extensions are already set to be associated with each language tool. You can ad or remove them here. Regular expression describing files to be ignored.